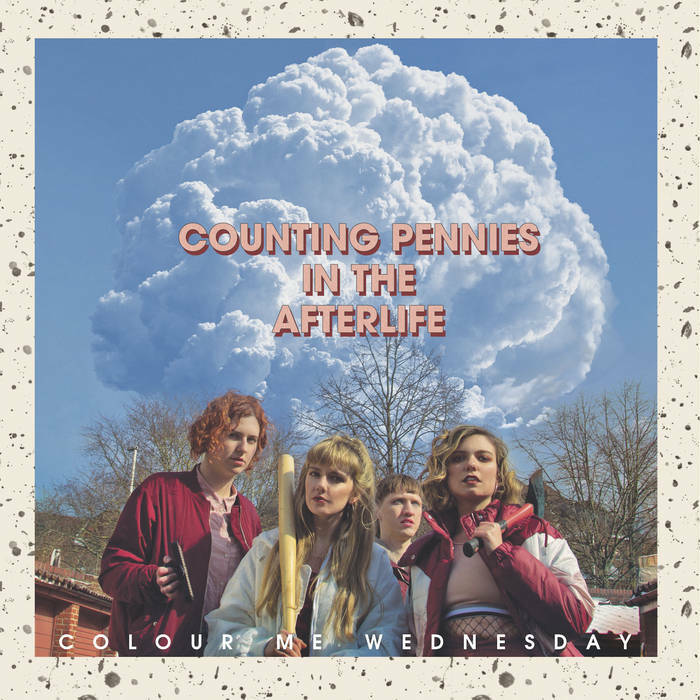 Colour Me Wednesday return to Brighton on the final date of their launch tour for new album ‘Counting Pennies in the Afterlife’. First on was Neil Singh, a guitarist singing his own songs, with thoughtful words about serious subjects such as war and oppression. In the best folk tradition the lyrical imagery was underpinned with taut and uncluttered music played by Neil with backing bass and drums; he is due to release an album soon. Brighton duo ARXX use the drums and guitar format to showcase their new EP ‘Daughters Of Daughters’. They make a great noise, especially when Clara on drums lets loose and Hannah’s vocal cuts through. ‘Moments at a Time’ and ‘Intervention’ are mini riff-operas where the rhythm drives the song to new heights. Sparkle Motion are led by multi-talented Jaca Freer, mainly a drummer with the headliners but also playing bass with Neil Singh. Billed as ‘..Brighton’s finest new queer covers band..’ the keyboard-driven line-up belted through a lively set including Placebo’s ‘Nancy Boy’, Blondie’s ‘Call Me’ and best of all Prince’s ‘Kiss’ mixed with ideal companion ‘Make Me Feel’ by Janelle Monáe. Interspersed with many protest and awareness-raising messages this exuberant line-up finished with cult 1999 outsider song ‘Teenage Dirtbag’ to a great reception from the crowd. In this endless early summer it was getting hot in the venue, despite being hidden underneath the stone railway arches. Colour Me Wednesday were suddenly on stage with the introduction to ‘Sunriser’, the opening track on the new album. Harriet Doveton leads on guitar then at the last minute sister Jennifer grabs the mic and launches the tale of relationship uncertainty with ‘..I feel the cold before you feel it…’. My current favourite, it is an excellent track, so much going on musically and lyrically with a speeded up section and Jaca’s intricate drums reaching new levels of complexity. Straight into ‘Boyfriend’s Car’, a sixties summery feel with harmonies and a key change in this story of post-apocalyptic automobile cruising. ‘Heather’s Left For Dead’ is a pounding wall of guitar but as always Jen’s voice floats effortlessly above. They are joined on stage on bass by Katie (from the band Personal Best) allowing Laura Ankles freedom to add extra guitar and intermesh with Harriet’s creative lines and rhythms. ‘Edge Of Everything’ is a rare celebration/acknowledgement of living near the M25 and final song ‘Entrepreneur’ sums up many modern job experiences (‘…loudest voice in my head…telling me to go back to bed…’) over a roving bass line and some neat chord changes. Then it was curfew, with no time for some of their excellent back catalogue and unfortunately no ‘Tinfoil’ from the new disc. This entry was posted in Music and tagged ARXX, Brighton, Colour Me Wednesday, Green Door Store, live, Neil Singh, review, Sparkle Motion on July 6, 2018 by iknoweno.